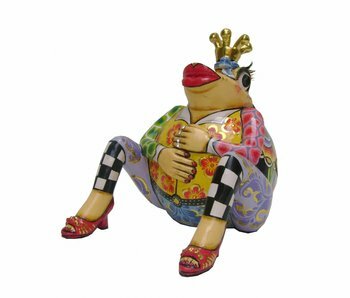 Sitting frog with bulging belly, a typical effeminate drag queen with his jewelry, red pumps and long eyelashes. 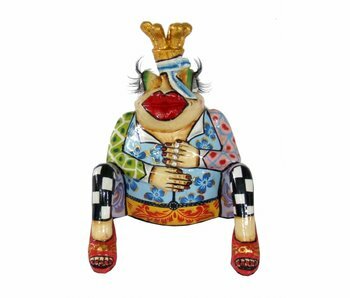 Sitting frog with bulging belly. 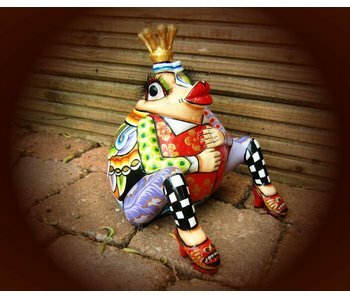 This frog is a typical effeminate drag queen with jewelry, pumps and long eyelashes. A typical caricature of Toms Drags.